Senior prom is just a few weeks away and if you still haven't shopped for a dress to wear on that special day, there is no reason for you to panic. 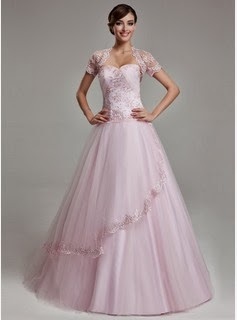 There are a lot of websites that offer pretty and affordable party dresses. One such shop is DressFirst. They offer up to 60 percent off plus free shipping. But don't get too excited yet. Before you head on over there to check their gorgeous prom outfits here are some tips you should read first to help you find the perfect dress. When shopping for a dress, pick dresses a size larger than your normal size. Just like wedding gowns, prom dresses are usually made at least one size smaller. Once you have your dress with you, try it on right away so you'll know if there is a need for some alterations. When you browse through the catalogs, try to keep an open mind. Going for the traditional dress is always safe but you could also try on lots of different styles and designs. Believe me, you'll be surprised to find something you'll love and never thought you'd wear. It also helps to listen to the opinions of your mom and your friends; they'd be the best persons to tell you what colors and styles suit you best. You may find a dress you like so much but that doesn't mean it's the best dress for you. Always ask for assistance. If you are in a shop, let the salesperson help you try on the dresses. They will help you zip and lace up and tell you how some styles should be worn. If you're shopping online, ask help from the customer support. They'd be happy to assist you pick the right size. You might also want to listen to the salesperson’s ideas. Being the prom dress experts, they don't only know which body type the dresses they sell look good on, but they also know which styles are hot and which styles have a beautiful fit. After you have chosen a design or you bought the dress already, let your friends know so they'll be able choose another style. Prom dresses are usually made in several pieces so there’s no guarantee you’ll be the only one wearing that dress at the prom. As much as possible, try to buy your shoes and accessories at the time you buy your dress. It's easier to complete the look when you have the dress with you. Lastly, consider your budget. An expensive dress doesn't mean it is the prettiest and the best. You can find a more affordable dress and still look elegant and beautiful. Those dresses are beautiful! Out here we don't have prom until May.